Use math, theory and experimentation to study the properties and behavior of matter—down to the atomic level. A minor in chemistry will allow you to explore the nature and significance of an important discipline—one that will aid you in your quest for knowledge about yourself and the world around you. Enhance your practice of the scientific method by learning more about the nature of chemical investigation and how to express results. 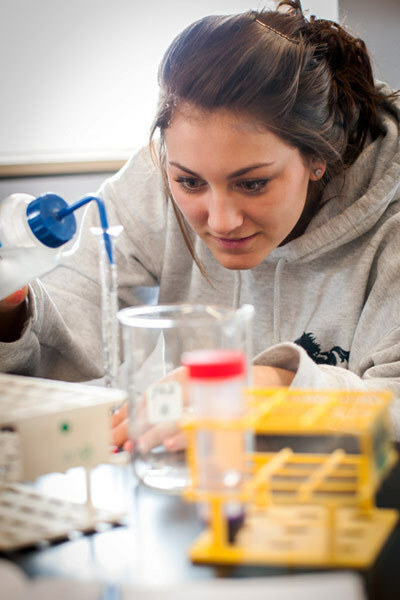 Minoring in chemistry provides excellent preparation for graduate study or entry into professions related to the natural sciences. The minor can be combined with any major, and it complements a major in biology.